Layers of Fear will finally be available on PC, Xbox One and Playstation 4 tomorrow, and after completing the final version, we can now tell you a bit more about our experience. Inside, you'll find our verdict, a couple of gameplay videos of the PC version and images (including some of the incredibly creepy press kit we were sent last week). Enjoy! 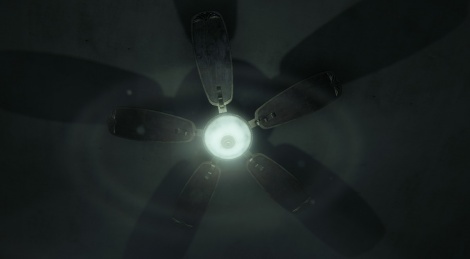 Bloober Team's title is not as scary as we expected, though it might be more depending on who's playing it, but it still has its share of very effective jump scares and it is disturbingly atmospheric. 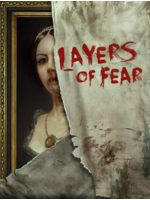 Being a very linear experience similar to the Playable Teaser Konami will never transform into a real game, Layers of Fear is a scripted experience. In fact, playing it is pretty much like exploring the haunted house of a funfair, you move forward trying to expect the next scare and you're never fully prepared in the end. That being said, if you really want to understand the story, you'll have to explore the house very carefully, looking for documents to learn more about the main character's past. Layers of Fear is obviously not a very long game, but it wouldn't especially benefit from a lengthier adventure, quite the contrary. Blooper Team managed to create a particularly entertaining title and we had a very good time playing it despite some technical issues. We can't wait to see what the studio will do next. I watched it. Great atmosphere, super visuals. I always play first person pc games with a controller, I play sitting on my couch and that is the only way I want to play them. There is no excuse for bad precision, though, the controller is not the problem but the programming. The gamepad controls are ok overall though, they could be more precise it's true but it works good enough not to ruin the experience. I enjoyed an awful lot of this game.